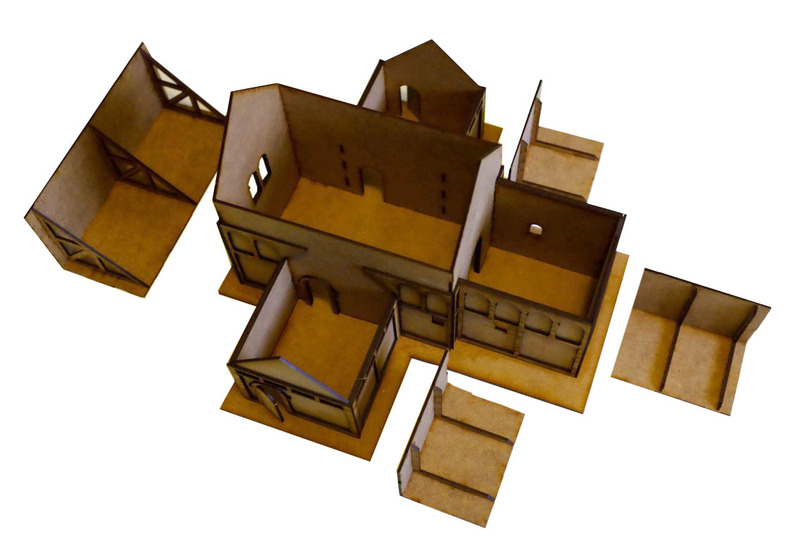 This impressive kit makes a great centrepiece fo any gaming table. 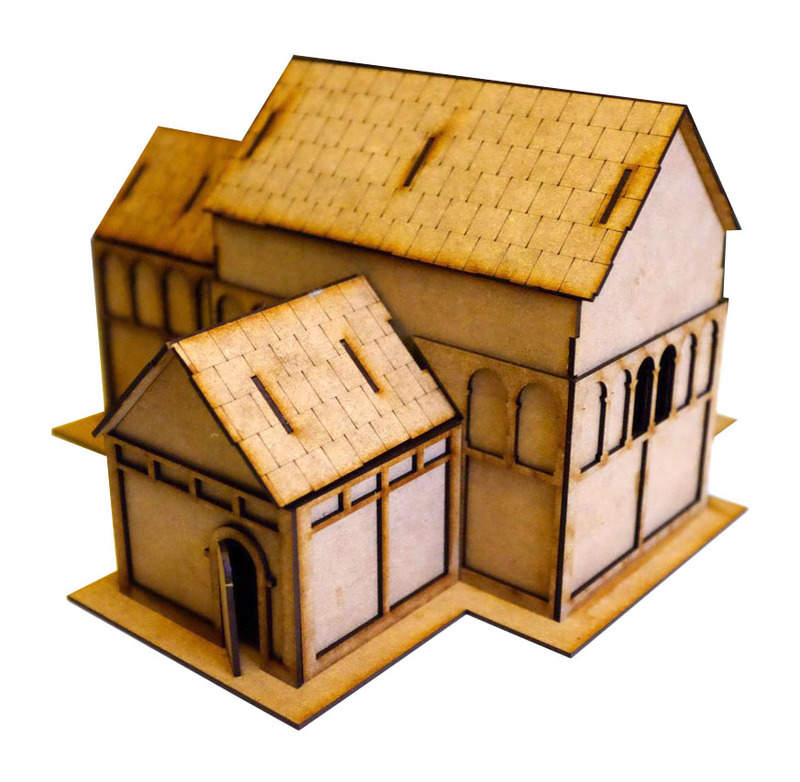 This Saxon Church or Minster comes with out stonework detail, removable slate style roofs, and four internal compartmnets - two porches, and nave and chancel. The kit measures 248mm x 270mm x 162mm high. 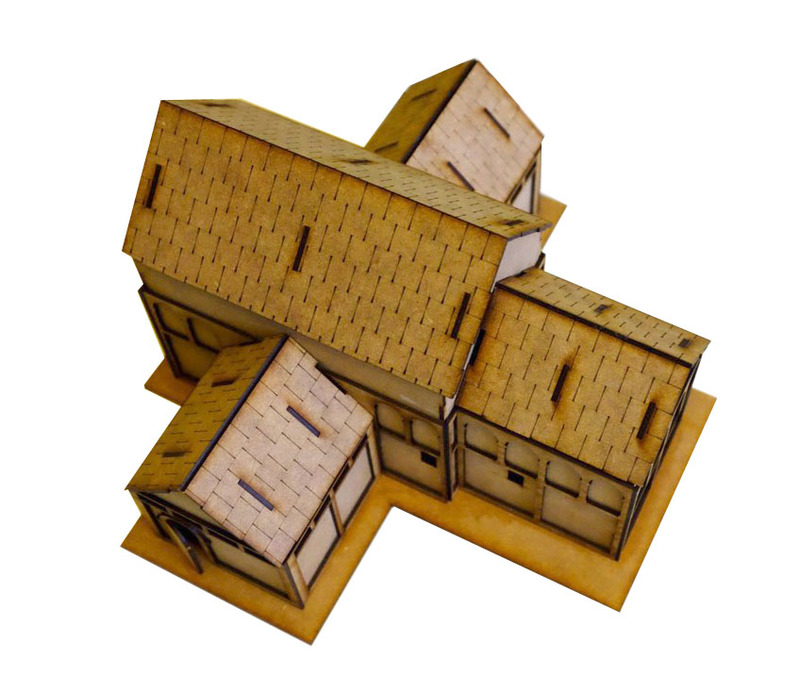 This kit is ideal for Saga players and also makes a for a great fantasy building. This comes in a kit form and requires assembly and so you will need a knife or scalpel to release some parts. You will need to PVA glue the interlocking parts together and paint.